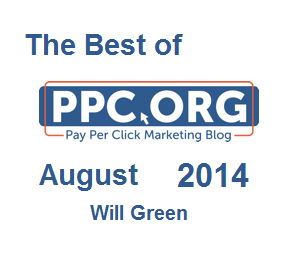 August has a great selection of pay per click advertising articles to read and gain valuable advice and knowledge from. Last month, July, had a focus on the ad extensions that advertisers can use in PPC which, in turn, will help increase the click through rate of the search adverts. 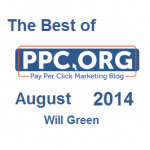 Without further ado, here are the best articles from August 2014 I created on PPC.org. There is no such thing as the ‘perfect’ advert. However, there is such thing as a well optimised advert. In this article, I highlight three mistakes not to make when you are creating your own PPC advert. Even if you do not want to read this article, open it up and skim through the mistakes because you may find that your adverts are doing these mistakes which would be affecting the performance of your whole campaign. Wren Living – A furniture store which had a particularly nice landing page. Battersea – A dogs and cats home which unfortunately had a poor PPC campaign in general. SammyDress – A online clothes store that focused on women clothing in the advert (which would be fine only that they are targeting both sexes). After using PPC for a while, I tend to look at statistics and see them as just numbers I want to improve. However, they are not just numbers. They are people. To highlight this, I thought I would go through the process web users take when they interact with a PPC campaign. This article is one of them quick articles to read to gain some easy tips about PPC. In this article, I look at three things that have the potential to make a campaign much more successful. What is great about this article too is the fact that I included many articles you can read to help you achieve these elements within the article. There’s the top six articles I believe I created in August 2014 that will benefit you the most. I hope this has proved useful to you like it has for so many other people.